L to R: WP Graphic Designer Michelle Stam, Jean De Vries, and WP Book Coordinator Sarah Purdy celebrate the release of Bestow On Us Your Grace. 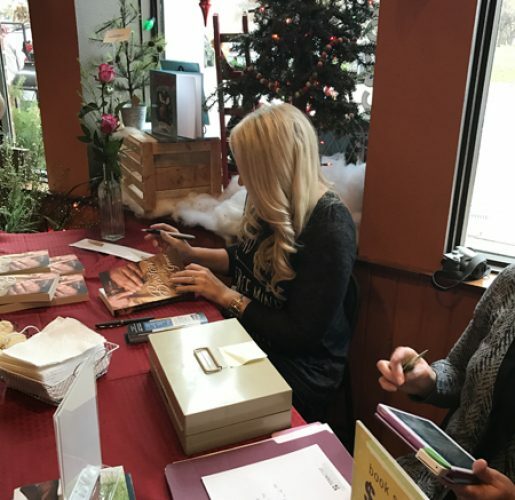 On December 3, amidst the twinkling Christmas trees at Thistles Flower Shop in downtown Pella, the Write Place’s 2016 Book Contest winner Jean De Vries signed copies of her novel, Bestow On Us Your Grace. The entire Write Place team was on hand to help celebrate the release of the book, our seventy-sixth title. 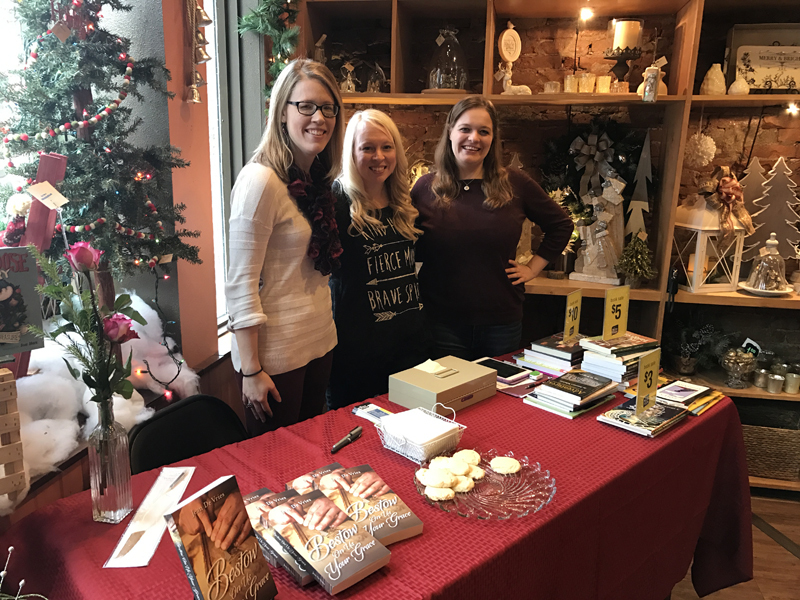 “We couldn’t have asked for a better place to celebrate the release of this special book,” said Write Place Book Coordinator Sarah Purdy. 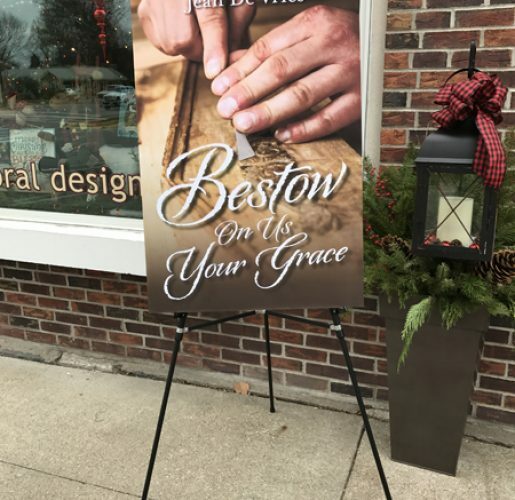 Bestow On Us Your Grace is a heartwarming novel about family, faith, and love told through the eyes of a very unlikely couple: an 18-year-old expectant mother and her Amish neighbor. 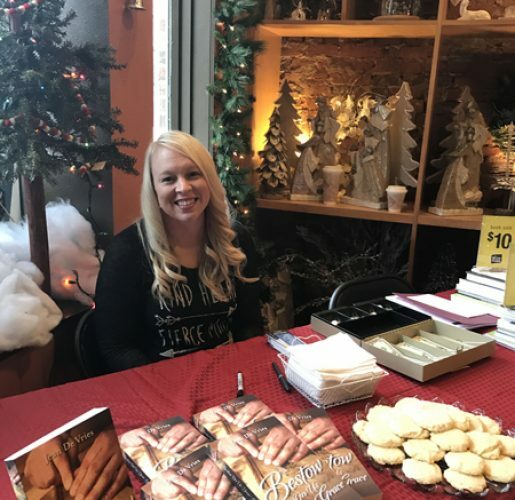 De Vries will host another book signing on December 29 from 1:00 p.m. – 3:00 p.m. at the library in Steamboat Rock, Iowa. Bestow On Us Your Grace is also available for purchase online at Amazon and BarnesandNoble.com.